As a business owner, you probably have a particular skill set that got you started. Whether it was design, operations, marketing, internal medicine, or something else, some specialization let you attract and keep customers. However, the skills you need to get the work done are often separate from the ones you need to run the business itself. You pick up new talents along the way, and while your team is small, as owner, you end up doing everything that needs doing. You take out the trash. You open the mail. You handle sales. And most time-consuming of all, you keep the books. If you aren’t careful, it’s easy to burn yourself out and poison the well fo doing what you love. It’s not hard to drift away from your original passion and purpose. You know all those minutes you spend scanning receipts or reconciling bank statements? Those are minutes you could spend growing your business, generating more revenue, or even just enjoying the freedom and flexibility that ownership affords–or at least is supposed to. As Culpepper CPA’s owner and managing partner, I know that problem all too well. I’m at my best when I’m operating as a hired-gun CFO or advising clients on tax strategy. Too often, however, I’m looking for replacement light bulbs, interfacing with a sign company, or trying to figure out who has the spare keys. So back in 2016, I hired a marketing agency to free up more of my focus and time. I wanted to keep my eye on growing the business but not to the detriment of taking care of the other things I needed to do. That was one of the best decisions I’ve ever made–for my business and for myself. Obviously, Greene makes a purposeful overstatement, the point is valid: As a business owner, your time is best spent at the strategic level. Free up your time. Bookkeeping is an administrative burden, plain and simple. It’s both complex and time consuming. By allowing Culpepper CPA to manage these responsibilities, you can invest your time on more central tasks. You’ll be in a much better position to grow your business, increase its profitability, and lead your team more effectively. Get the tools to grow your business. Your financials are a tool. Accurate financial records are a must if you want to improve and manage your business effectively. But maintaining precise records is no simple endeavor, and multiple locations and multiple revenue streams will only compound the complexity. That’s why it’s wises to put bookkeeping in the hands of experienced accounting professionals. When tax season rolls around, we often have to charge more to clean up a client’s books than we would have to do their bookkeeping on a monthly basis throughout the year! And even more importantly, a higher level of involvement in our clients’ businesses throughout the year allows us to be much more valuable as advisors. The more deeply involved we are in your business, the better we understand it, and the better we can provide quality guidance. Gauge your business’s performance. Good, clean financial statements and forecasts will help you gauge your performance and make informed decisions. It’s an important foundation for deciding how to spend cash and seize opportunities. Our primary goal is to turn your financial data into useful information you can use to help grow your business. From startups to large corporations, we understand the nuances of businesses of every size. Each has different needs and faces different challenges. We tailor our services to fit the unique anatomy of your business. Plenty of businesses generate significant gross revenue but still aren’t very profitable. Others may appear much more modest by comparison but are actually growing at a more sustainable rate. We’ll develop an accurate snapshot of your financial health–paired with objectivity and critical insights–and help you make prudent executive decisions. When you hire a professional accounting firm like Culpepper CPA to handle your bookkeeping, you’re getting years of expertise from our staff of trained CPAs. It’s not uncommon for on-staff accountants to be bookkeepers with no formal accounting education. 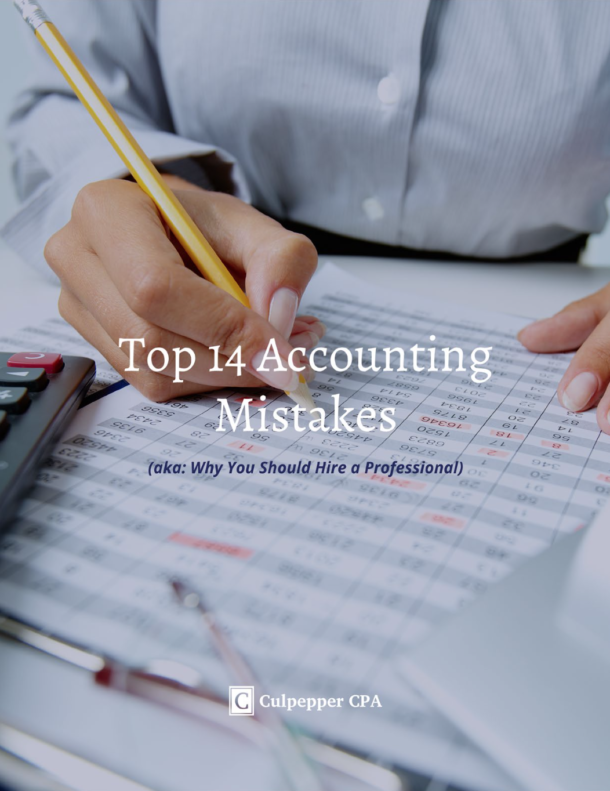 Although they have learned accounting principles and practices on the job, they may not have the depth of experience required to navigate the kinds complex issues they’ll be up against. You’ll also end up paying more for a staff accountant in the long run. When you add up full-time salary and benefits for the position, your costs will range from $50,000 to $150,000 per year. We charge only a fraction of that, and you’ll get our monthly bookkeeping, ongoing access to the Culpepper “brain trust,” and expert tax preparation. And as mentioned above, you’ll pay less for remedial accounting work and tax prep in Q1 each year if you already have clean books. If you still aren’t sure about hiring an accounting firm to handle your bookkeeping needs, here are some real-life examples of businesses that found freedom when they brought Culpepper CPA on board. Although these clients had distinctly different needs, they were able to utilize the skills our team of accountants brings to the table. As a large distributor of hot sauce, this company had in-house accountants but no high-level financial officer who could oversee the finances and take the reigns in case of complex accounting issues. This business was large enough to need expert guidance in this field; however, they were not yet to the point where it made financial sense to hire a full-time CFO. That’s where we stepped in. 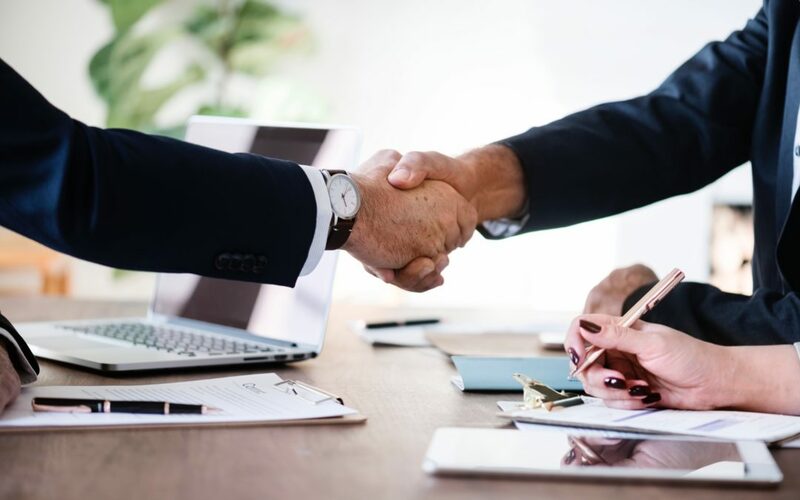 This detailed level of involvement in our clients’ operations allows us to not only be knowledgeable about the way they conduct their business, but it also makes us well-suited to advise them when complex questions or transactions arise. By not being tied to a single full-time employee who handles these matters, their company has the freedom to glean from a whole team of professionals, each with their own skills and experiences. And our services are a fraction of the cost of one 40-hour-a-week worker. For that reason, outsourcing these responsibilities to Culpepper CPA makes sense, even if a full-time CFO salary is within the budget. Unlike the hot sauce distributor, this client is a sorority house that has no place for a full-time bookkeeper or accountant. The amount of work they require weekly simply doesn’t justify the cost of hiring someone on. In the past, their finances were handled by chapter advisors who happened to have some accounting experience. But these individuals didn’t have the time to manage the accounting needs of the chapter on top of their full-time jobs. With this task taken off their shoulders, they can rest knowing that their accounting and finance-related duties are 100% handled. And those with other responsibilities are not left having to worry about whether the bills are getting paid, the cooks are getting their paychecks, or that transactions are recorded and classified. Why not entrust your bookkeeping to the professionals? Most people start a business because they want financial success, freedom, and autonomy. The irony is that time, freedom, and peace of mind are hard to come by as an owner, when you have a hundred different tasks competing for your attention. So why not simplify your life? Entrust your bookkeeping to the professionals and free up your own time and energy for doing the things you love. Culpepper CPA is Knoxville’s top accounting firm. We can give you the time and tools that you need to grow your business. We’d love nothing more than to relieve you of the administrative burden of monthly bookkeeping. And we’d also love to see you start enjoying the fruit of your labor! To set up a free consultation, fill out the contact form or give us a call today at (865) 691-8509.